Mo Willems’ newest book series from Disney’s Hyperion book label is called Unlimited Squirrels with the debut title available October 2nd, Unlimited Squirrels in I Lost My Tooth! Similar to the Elephant & Piggie Like Reading series, this hardcover book features full illustrations with speech bubbles on every page in place of traditional text. The interior introduces kids to the seventeen squirrels that star in the series, including “Flappy Squirrel,” who is actually a bird. The story begins when Zoom Squirrel loses one of his front teeth. This makes it hard to pronounce the names of his friends, like Zip Squirrel and Zap Squirrel. 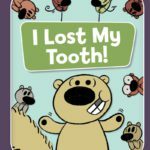 They don’t understand how he could have lost his tooth and when Zoom explains that it was a baby tooth, they panic and start a search party to find the poor little lost baby tooth. Hilarity ensues as the squirrels completely misunderstand the concept of a baby tooth falling out to make room for an adult tooth. Throughout the story, Mo Willems adds “Emote-Acorns” in the bottom corner to help kids understand the emotions the squirrels are conveying. These adorable acorns with faces offer emotions like happy, sad, confused, surprised, determined, scared, and funny. The fun doesn’t stop on page 57 when the main story comes to an end. There are 27 bonus pages of fun, including facts about human and squirrel teeth, a series of jokes told by acorns called “Acorn-y Jokes,” and the “Fur Real! Game Show with Quiz Squirrel.” This game show within the book offers one of the biggest laughs and offers some Mo Willems comedy at its finest. 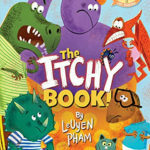 This book makes for a perfect early reader for kids, with big text in speech bubbles. The illustrations stay true to the Elephant & Piggie style with thick lines and solid oval eyes. Willems’ signature brand of humor is well represented here, with lots of laughs and silly moments to keep kids turning the page to see what comes next. Willems also makes creative use of colors to make each squirrel unique. 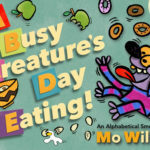 It’s hard to go wrong with anything by Mo Willems when it comes to encouraging your kids to learn how to read and seek out additional books. 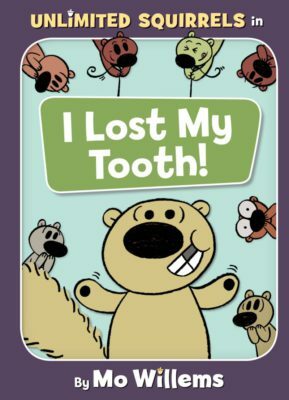 There’s a lot of potential with this new Unlimited Squirrels series and kids can get their first taste on October 2nd with Unlimited Squirrels in I Lost My Tooth! It’s guaranteed to be another successful series from one of today’s most adored writers and illustrators.